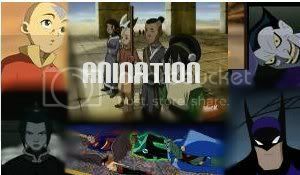 Official Description:The kids reach the Northern Water Tribe, and Aang and Katara look for a Waterbending Master while Sokka falls for a princess. Meanwhile, Zhao plans an attack and Zuko must find a way to continue his quest for the Avatar. I don't know about anyone else, but the fight between Katara and Master Pakku is my favorite scene from the entire run of the show so far. The fight works so beautifully, you forget you're watching a Nicktoon. It's just too bad so little of the show has been spent with the Waterbenders. Most of the show takes place in the Earth Kingdom, which is fine, but I wish we could see more Waterbenders, or let Katara and Aang strut their stuff at least. I know it's a little (o_O) Late to say stuff about this, but I really liked this episode. Master Pakku got some sense slapped into him!! >:-D And it was priceless the way that katara hit him on the back of the head with a water whip thing. When Zuko's ship exploded, I knew he wasn't going to die because he was a main character in the show, so he can't die. That part was really cool though. And Pakku - what a jerk. Finally someone puts him back into his place. He was way out of line with that 'No Women Waterbending' thing. I actually don't think he was way out of line, even though I'm a girl. Pakku was just rude. If he said it in nicer terms it wouldn't have seemed so bad. It's acceptable to not teach girls waterbending because it's a cultural thing. Avatar thanks to Opal Koboi! I agree with you Toomin. The fight between Pakku and Katara was veeerryyyy cool!! The only thing I noticed kind of...bad?...was that the beginning of the episode, personally, was a bit quick; because they are on Appa, they are like 'when are we going to find the Water Tribe...' and then they get 'iced' by the waterbenders and then in the next scene they are in the city. No Avatar Roku your not the only one who noticed. I agree that the begining felt rushed. The fight between Pakku and Katara was pure awesome. For me it was the water version of Bumi Vs Aang. This episode also brings up the issue of sexism once again only this time its more than just a passing thought like in Boy in the Iceberg. For a moment, very brief, I was shocked when Pakku water bended icicles and trapped Katara, I thought for some reason he might have killed her, which was nonsense to believe of a kids show. It was definitely a highlight of the series. I was really surprised that Katara had that much skill in waterbending. Yeah, but it irked me. When season two started up, even before, in Seige of the North Part I, she had already 'mastered' Waterbending, which makes no sense. No matter how quickly you can progress at something, you can't make years of study and training into maybe a weeks worth. Same thing with Aang, in both water and Earth. The prievew for the Fury of Aang, the narrator/announcer said "He's mastered another element." No way he 'mastered' earth between two episodes. There's not much sense of time scale with Avatar, besides seasons like fall, winter, and spring. I think Katara is probably a bending prodigy. That is likely why she learned so quickly once she received training from a master. I also suspect that they spent a few weeks in the North as well. 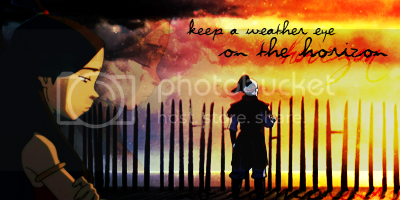 It's likely they spent a few weeks, but remember that Aang has to defeat the FN seven months or less, more like 6. It's just unrealistic to master an element in even 3 weeks, when it takes YEARS normally. And then he stops a boulder, so he's 'mastered' earthbending? No. And it's spring now in the show, which means it's March or the equivilant to it. So he's mastered two bending disciplines already. What really bothers me is how little of his actual training with Toph and Katara is shown. Blame the mastery comment on the narrators promoting the show. He has not been declared an earthbending master by Toph. The comment about mastery occured in a promotion for the show. Since it was only mentioned in an advertisement, I think it is fairly safe to say that the canonicity of that statement is invalid. Proud supporter of Kataang, Maiko, and Sukka! I would have to say this is my favortie episode because it was the first to show some REAL waterbending action. I didnt really think too much about waterbending till I saw this episode! Keeper of the fake firebending streamers! They already could have been close when the Watertribes attacked. And Well, they showed them right outside the Northern Water nation gates. Showing them go inside, and all the etiquette of the north they had to go through would have just been waisted air time that they could have put to better use. Which they actually did. I loved princess Yue! that is all i gotta say! 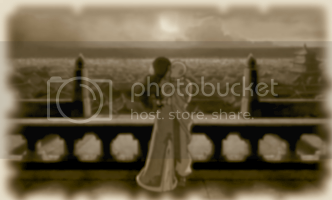 I â™¥ Azula, Mai, Toph, Sokka, Katara, Aang, and Zuko! Many thanks to Mike & Bryan for a great story! I'm no Zuko-hater, but Zuko's ship exploding has to be one my favorites scenes in the series. It's so big and...dark! It proves that this is no mere kids show. 2.Master Pakku: Not bad! Not bad! Heheh! Keep practicing and maybe you'll get it by the time you're my age! I liked the way he was totally beaten up after, bruises, split lip and everything... Sounds silly but in an average cartoon you'd've expected him to walk away with nothing but a bad mood. The fight between Pakku and Katara was great though, I enjoyed that! I loved it when katara battled Master Pakku! I edited your reply because it was originally in all caps. Please do not use all caps for your messages. Thanks. Something just came to me: during the battle, Katara flung knife-like ice sheets at Pakku that looked as if they can easily slice him in half. Was Katara trying to kill Pakku or something?! Seems a little overboard, doesn't it?